Has anybody replaced the tail lights and turn signal bulbs with LED's and would care to share which bulbs or bulb types they used? Any issues with the blinkers speeding up? I'd like to find some bulbs that would be brighter for better visibility. I'm not looking to do anything with the headlight. Yes, the blinkers will speed up unless you add load resistors or bypass the imbedded turn signal flasher with an aftermarket solid state flasher relay. I changed the turn signals and brake light bulbs on my 1974 Honda Trail 90 to LED. I had to replace the flasher unit with a solid state unit as Tim mentions above. This bike is only 6 volt so may not jive with newer machines BUT I replaced the brake bulb, back to an OEM bulb. It was just not bright enough to be safe. On my Silver Wing the ONLY bulb I changed to LED is the license plate light. Had one on hand when the OEM burned out. No plans to change any others. Just not worth the headaches IMHO. Something I would never do!! I am believer in using OEM spec stuff and hater of trouble on trips, want LED, get new or newer bike where they are stock. There's nothing wrong with the brightness of the OE rear tail light and indicator/turn signal bulbs, they're the same wattage used across the board by almost all other road users. Upping them to brighter LED's for 'better visibility' has what advantage exactly, it isn't necessary and rather selfish IMHO. Brighter rear lights are going to look like you're braking, or one of those annoying tossers who switch on their high intensity rear fog lights in good weather. Then you'd need to display an even brighter light to show when you actually are braking, and you won't be doing the motorists driving behind you any favours either with your dazzling and annoying display. So when you're inevitably rear ended by the car behind you because the driver found it almost impossible to tell you if were braking or not, it'll be entirely your own fault. LED bulbs are brighter but light pattern is not the same. Needs a true 360 pattern to work properly. I looked into some of these led bulbs and most are longer than oe bulbs and have issues fitting without hitting the lens. Could melt something if close enough. Cree type. I'd rec. adding a led light bar mounted on rear. Many different types are out there. Signal Dynamics is a good place to start. Running- brake type . Want LED lights on a maxi scooter? Get rid of the circa 2000 design Silver Wing and buy something a lot newer from SYM, Kymco, Yamaha, etc. Thankfully here in the UK we have checks and balances, presenting the Silver Wing for it's annual MOT reins in the worst excesses of home bodgers. Our insurance companies love it as the perfect excuse to bump up annual premiums, or invalidate your cover if you don't inform them of your modifications. It's been here before, I think I mentioned it, just changing the bulb may not give the desired results, lens configuration to bulb is as or more important for proper light distribution. One other is the charging system demand changes which MAY / MIGHT / COULD lead to other problems. I agree with Mildrew----want LED, get newer bike design. Do not ask for trouble. I put them on mine and love them and riders behind me say I like your lights we can see you a mile away. You have no problems if you know what you are doing. If you don't like them stick with the candles and hope for the best. I saw a guy using a led bar about 6" or so long that was connected to his rear brake lite and must admit it really caught my attention. Well happily I don't live on Fantasy Island, the place where your friends can see your lights a mile away. A place where they're able to ride a very long way behind you on a very straight road, and can stop other road traffic from getting in their way and obscuring their view of these magic LED lights. So being brutally honest I don't believe a word of it. Especially when there's lads on the Muppets forum riding the latest T Max and X Max Yamahas fitted with the full LED lighting systems designed specifically for their maxi scooters, and they make no exaggerated claims of of their rear lights being visible a mile away. Personally I have no need any extra lights on my 2010 Silver Wing, I upgraded my headlight bulbs a couple of years ago to ones with a brighter more efficient main and dipped beam and that's it. I'm not that insecure out on the road that I need to be lit up like a disco. Given the recent spate of reports about Teslas and the like on "auto pilot" rear ending cars, I'm far more concerned with that happening than my rear lights needing an LED upgrade. Perhaps laws need to be changed to address those auto pilot malfunctions and the deadly threat that poses for motorcyclists. Seems to me that the auto pilot feature encourages inattentive driving. I don't know why there are those who are so dead set against people modifying their machines in order to make it a bit safer (in whatever person's mind) or maybe even to just make it "look cool". Folks have been doing that since forever, have had a ball doing it, and have created some great looking machines. At least it shows someone's pride in their equipment and makes life maybe a bit more exciting than just "personal transportation". Some people "do" like to have fun with their "bikes"!! As far as those autonomous vehicles rear-ending two wheelers, I don't think it's the laws that need to be changed, I believe the use of those self driving freaks need to be better regulated and made "fully" safe before anyone even "thinks" about allowing them on the road. There are just too many problems they haven't ironed out yet (and I don't think they ever will). Puts me in agreement with CJ's remark about auto pilots encouraging inattentive driving. Wow. Interesting responses. I don't recall asking if folks thought it was a good idea, just whether those that have or at least tried it, had some thoughts on what types of LED bulbs to try. I've been playing around with all sorts mechanical and electrical things all my life, and I'm no spring chicken. I'm a firm believer in making my bikes more visible through extra lighting as long as its legal. If you think that the OEM bulbs are fine, that's great, for you. Adding LED lighting to older bikes or cars is very common on this side of the pond. My other bike is a Spyder and modding the lights for more visibility is a very common practice. Nobody is going to go blind staring at LED turns or tails, and they don't generate as much heat as an incandescent bulb, so I doubt anything is going to melt. The only issue with the turns is amount of current they draw, its not enough for a conventional flasher. LED's are not going to screw up the charging system and I'm not planning on buying something newer in order to have them. My FSC600 did not come with four way flashers. On an earlier post, DennisB posted that he installed a flasher system that used LEDs. I was just about to modify my Swing to install a flasher switch to allow me to use the turn signal as a four way flasher. My concern was that I would need to keep the engine running while using the flasher for fear of running down the battery. With DennisB's LED system, I would not need to run the engine. It came with a bonus of three different flash sequences. Some people "do" like to have fun with their "bikes"!! Yes, and you "do" that by actually riding it somewhere, not thinking you need updated fork springs to ride on a road with a few bends. An Airflow cushion or custom seat built for an all day ride.You don't need a loud exhaust with a big logo stamped on it, or flashing disco lights to feel safe on the road. If anything 'improving the ride' is just an excuse not to because you spend your time and money adding junk. British and European Silver Wing riders seem to manage very nicely without 90% of the 'essential' junk deemed necessary over the Pond, and maxi scooters aren't a dead duck over here either. one of the reasons there are so many old/leftover SilverWings in US......they do not get ridden many miles....ride a lot you really do not need any add on's other than Givi Adjustable Windshield, Givi rear rack and some sort of top box----the basic bike does not break very often when left alone (stock). ride a lot you really do not need any add on's other than Givi Adjustable Windshield, Givi rear rack and some sort of top box----the basic bike does not break very often when left alone (stock). Good thoughts from Mildrew and Grinsel about stock integrity. In many ways, I agree either because I am too inept or too lazy. But I also agree that you deserve much credit for farkeling your ride in any way that suits you, if only to motivate you to get on and ride more often. Who here has added a farkel (new screen, seat, etc.) and not been motivated to ride with the new addition to try it out? I put some red stripes on my black Swing, and had to ride it, even though it didn't make a difference in the riding (though I was sure that it was much faster starting from the next red light). Back to the original question, the only help I can give is to keep researching those LED bulbs. Years ago I bought an 1157 tail light LED bulb, thinking it would brighten up my Honda 450 Nighthawk. The LED bulb actually showed less brightness than the original incandescent. Maybe someone on this forum has info on best quality LEDs. Good info from everyone, including Easyrider and Cosmic. I added a Admore light bar to both of my Silverwing’s and they are very visible. It was an easy add with the cable connector from cosmic jumper. Back to the original question, the only help I can give is to keep researching those LED bulbs. Years ago I bought an 1157 tail light LED bulb, thinking it would brighten up my Honda 450 Nighthawk. The LED bulb actually showed less brightness than the original incandescent. 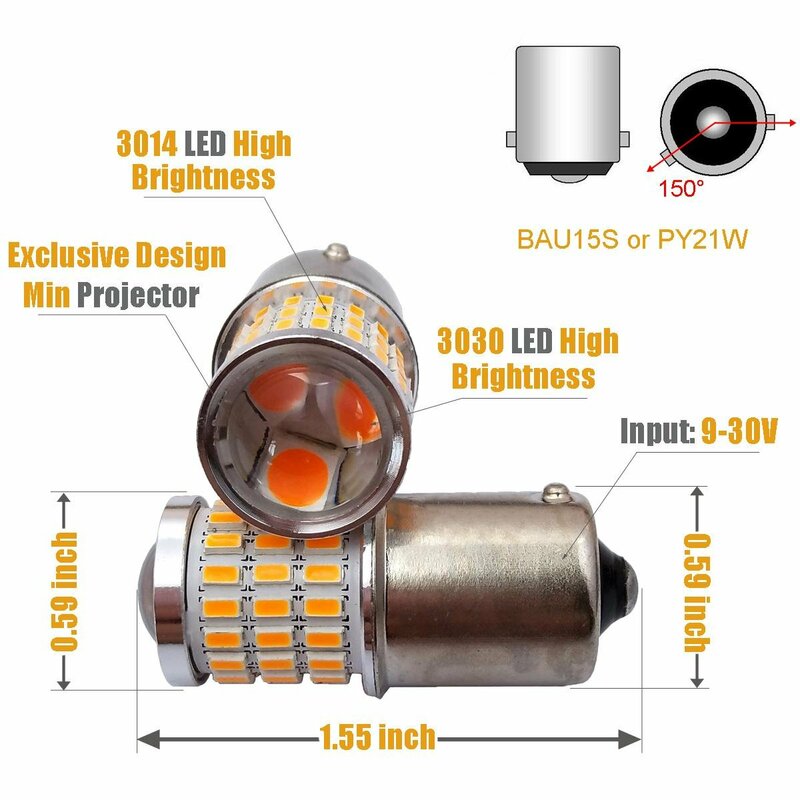 Maybe someone on this forum has info on best quality LEDs.<<<<<<<>>>>>>>>> It isn't the LED as much as the the LED matching the CORRECT lens for light distribution, I had some side FARKLE lights on my 1500 that seemed to bright to look at but the lens was self contained others such as you noted just changing a bulb didn't do much. Ive got some Amber bulbs selected for the turns and some two level Reds selected for the tails on Amazon along with some loading resistors for the turns, unless I can figure out where the blinker module is and if there is an alternative that would be good for the LED's. The bulbs are about 8 bucks each, and they are in my cart, but I've been spending a bit on other projects so I'll probably hold off a few weeks before I go ahead with it. You do not want those, or any that are like them. They will much less luminous than incandescent. I've tried many different LEDS over the years and the only ones that were not a total disappointment were the Sylvania Red Zevo LEDs, they are bright enough for stop/tail and have the faster on time that is what most people want them for. 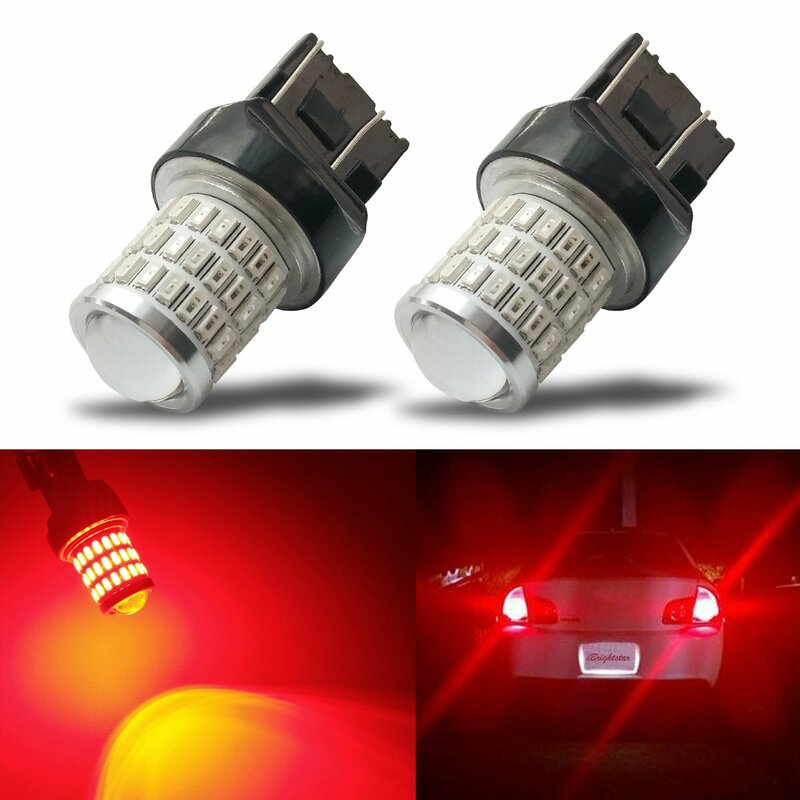 I use them with a Tailblazer tail light modulator. However, for the turn lamps, while you can get Amber Zevo for the rear, they will not have the best pattern and brightness. For the front, it gets even more problematic. The single filament front bulbs operate as running lights as well as turn signals. If you use anything other than the 1156 spec bulbs, they will fail to function properly. I would like to point out something about conspicuity lighting. Headlights that are excessively bright don't make you more visible, they cause target fixation in oncoming drivers, and can cause a wreck. If you want to be seen you need to stand out from the mass of red and white lights that are around you. This can be best accomplished by using lighting of the same brightness as everyone else but distinctive in color tint and configuration. You want other drivers to see you and notice you, not blind them.